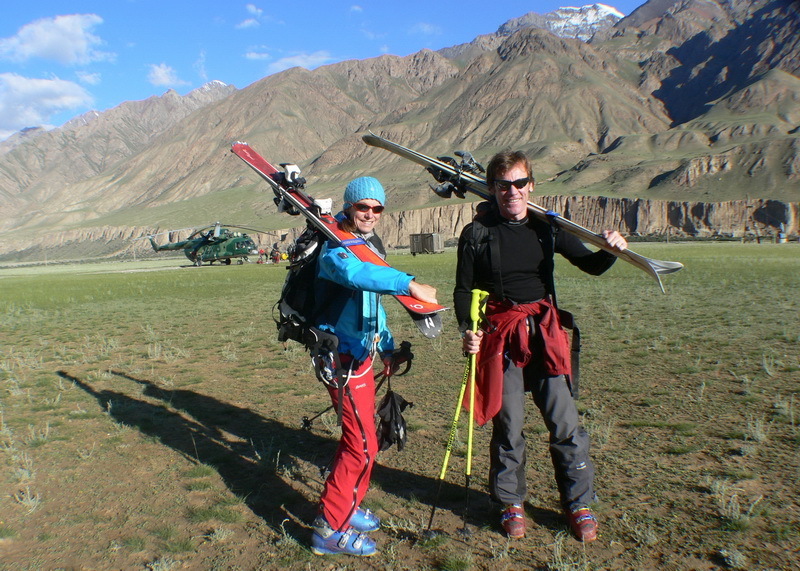 Ski in Kyrgyzstan is possible all year round. June, July, August… Who said that the skiing season is to be finished? There is always enough snow in mountain stores for you to make own autograph on the virgin snow slope! 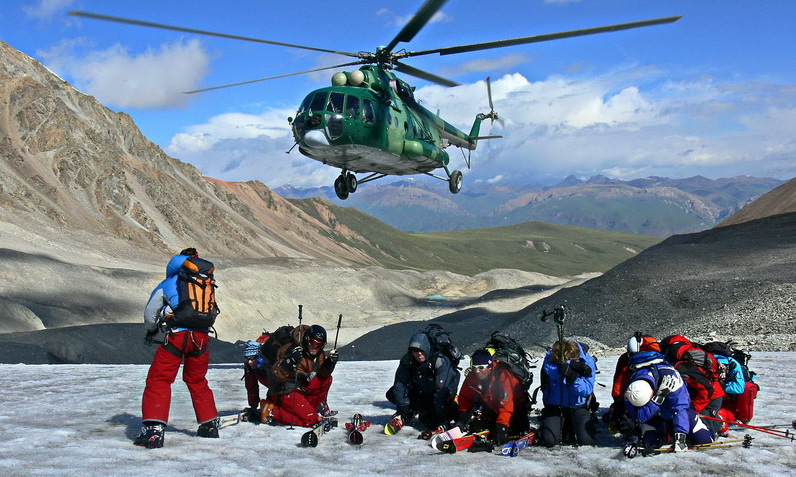 The helicopter will take you to the mountains, where you are waited by beautiful Glaciers and Peaks of magnificent Tian-Shan. The landing site altitude is almost 4500 metres above sea level. True paradise for experienced skiers! 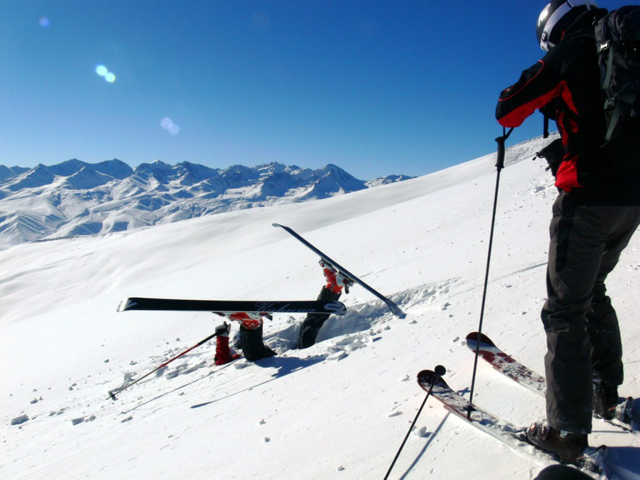 But even if you are just the ski beginner, you will have a unique chance to find yourself on the virgin slopes and see unbelievable mountain panorama. On one of the days we will make the flight around grandiose peaks, such us Pobeda Peak (7439m) and Han-Tengry Peak (7010m). 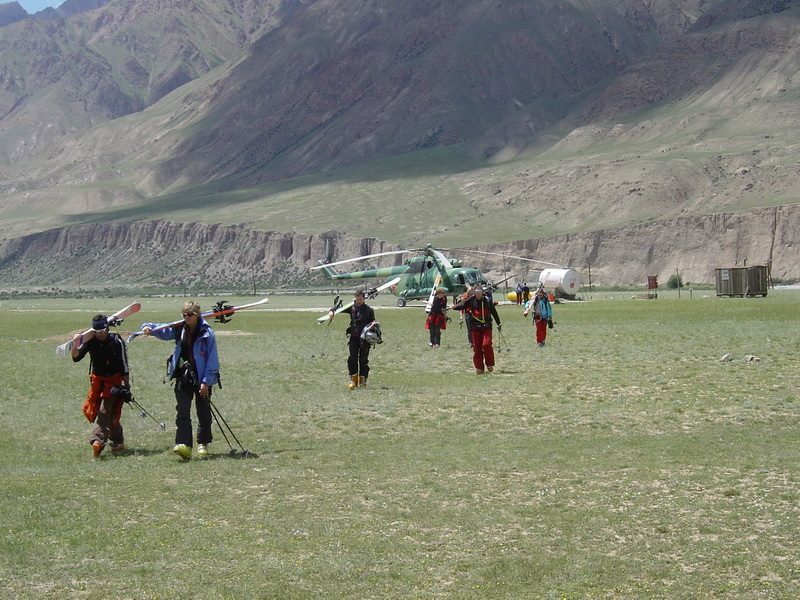 We will land and have a walk along the Great Central Asia Glacier – Inylchek, which is 62 metres long. You will see the unique Lake of Mercbaher that consists of ice and comes out to sight and disappears ones a year regularly. This is a week to make great portfolio of photos and videos and get amazing and unforgettable impressions and experience. D ay 1: Arrival at Manas Airport. 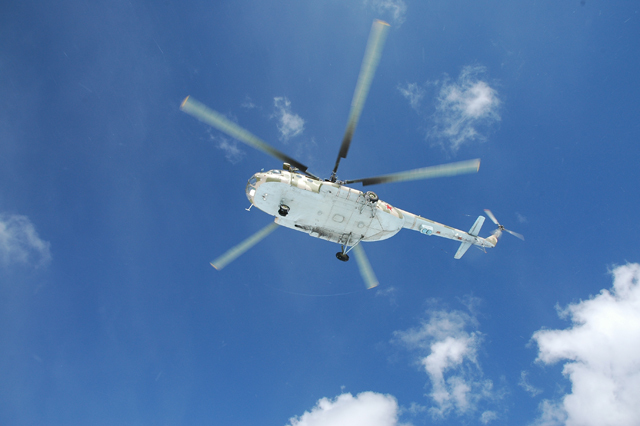 Helicopter flight: Bishkek – Mayda-Adyr (about 2 hours). 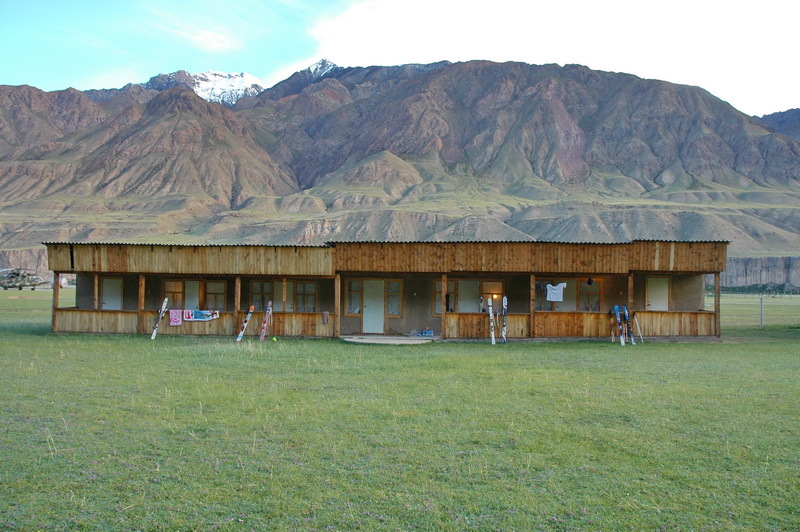 Accommodation at the base camp. Dinner, rest and equipment preparation for heliskiing. Safety techniques (safety facilities) training. AM Morning time: Heliskiing. Early breakfast at 7.00, departure for skiing area of Terskey Ala-Too. 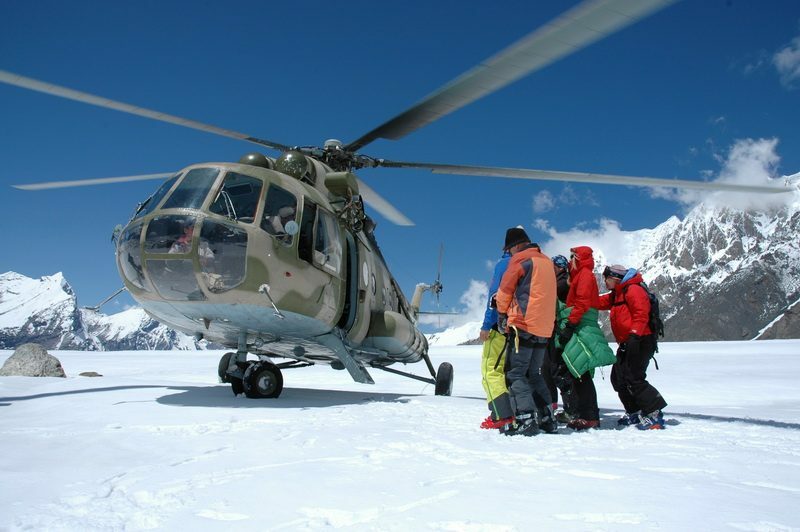 Heliski – along the mountain glaciers. PM Lunch at the base camp. 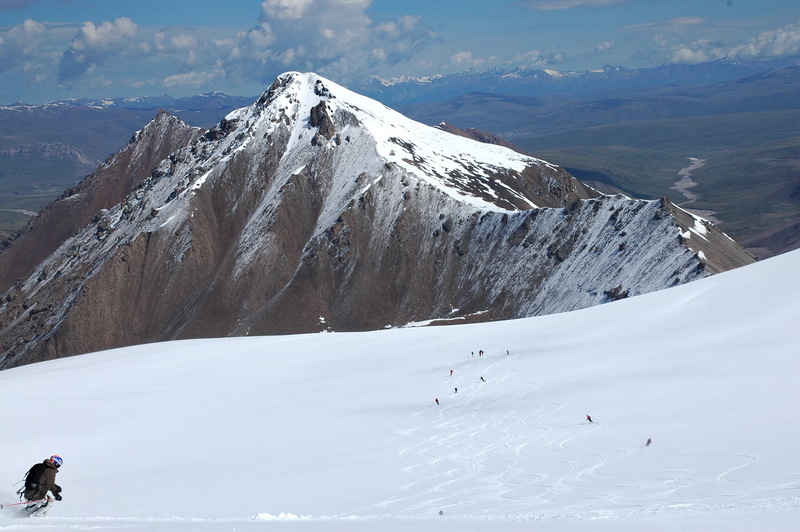 On one of the days (at the request of guests) can be scheduled a flight to the grandiose Peak Pobeda (7439 m.a.s.l.) and Peak Khan-Tengry (7010 m.a.s.l.). Transfer by army jeep to Karakol ski base (7 hours). Accommodation at the Karakol ski base. Dinner. Rest. Breakfast. All day excursion to Karakol Gorge. Night at the Karakol ski base. Transfer to Issyk-Kul Lake. Rest on the beach. Accommodation at the hotel. Transfer to Bishkek. On the way there is possibility to have a rafting tour in Boom Canyon. Arrival. Accommodation at the hotel. Free time for shopping. Banquet.